The unit is reading from the memory card up to 4GB of map files. Is the map bigger than 4GB the unit cannot read the maps. Any further capacity on the SD card, depending on the device, can be used for other maps, pictures, MP3 files and track logs. If the map on the memory card contains more than 2025 map tiles, the device cannot read the data, even if the map size is less than 4GB. 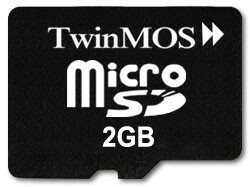 The maximum size of memory card, refer to the table below. The values refer to the current version of the firmware.